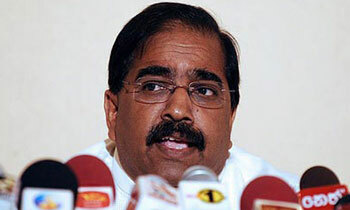 Keeping the unity among the Tamil National Alliance (TNA) could not be sustained among the allies, even in Parliament, unless the No-Confidence Motion against Northern Province Chief Minister C. V. Wigneswaran was not withdrawn, Eelam People's Revolutionary liberation Front (EPRLF) Leader Suresh Premachandran opined yesterday. EPRLF, ITAK, PLOTE and TELO are the constituent parties in the TNA. The motion has been signed mainly by the ITAK members. The other three parties met last evening and discussed modalities to sort out the problem. Whether Sinhala, Tamil or Muslim, our politicians are the same. Personal or party agendas / ambitions come first before the wellbeing of the people they represent. Hay man, we know what is happening - MR wants to break the TNA in to pieces, this is the reality. Before the next elections, MR had planned to break the TNA, let Samanthan talk to the President and PM and sack CM. Thank you God for not giving the Tamils, the Eelam. There would have more upheavals and more bloodshed. Why you dragging MR into this? What has TNA achieved by cooperate with the government for the past 2 years?